Dual extruders on the Cube 3 print in two colors at a time. The eye-catching design makes the printer an attractive furnishing. 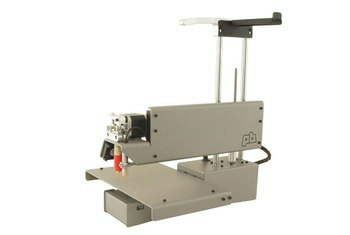 The attractively priced unit produces good quality small objects. 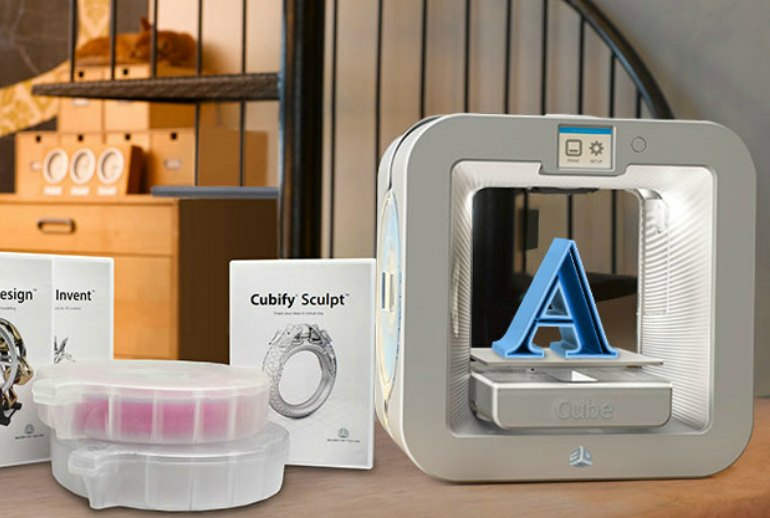 The proprietary print cartridges used by the Cube 3 are more expensive than generic units. The printer needs to cool down between jobs. The Cube 3 is noisier than its competitors. 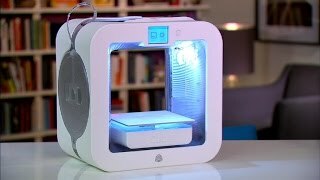 This midrange 3D printer that's reminiscent of Apple's first generation iMac produces small objects up to 6 by 6 by 6 inches with excellent detail and smooth layers in both PLS and ABS plastic. 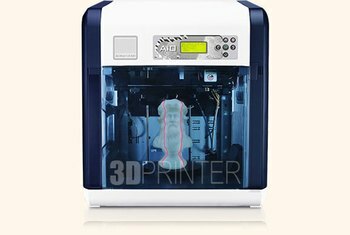 Its dual-color extruders print in two colors at a time, chosen from 23 shades of proprietary ABS and PLS plastic. The unit can be controlled over Wi-Fi from a PC, Mac, Android or iOS device. 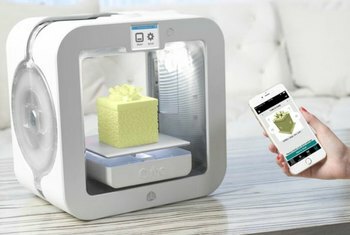 Although it was a tough call, we rated this model second due to its higher price tag, smaller build sizes, slower printing speeds and the need to purchase proprietary materials that are considerably higher priced than generic alternatives. At times during my testing period, large print jobs failed half-way through the print cycle, and the printer takes a long time between jobs to cool down. 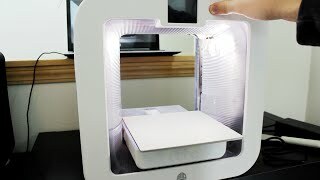 The Cube 3 is unusual for a midrange printer in that it has two extruders: It can print either in two different colors or in two different types of material at once. Another double-edged design feature is the printer’s magnetically-attached build plate. The lack of clips makes the plate super easy to remove, which makes prying your finished objects off the plate a bit simpler. The downside, however, is that it’s not heated, and isn’t quite as secure as if it were clipped down. 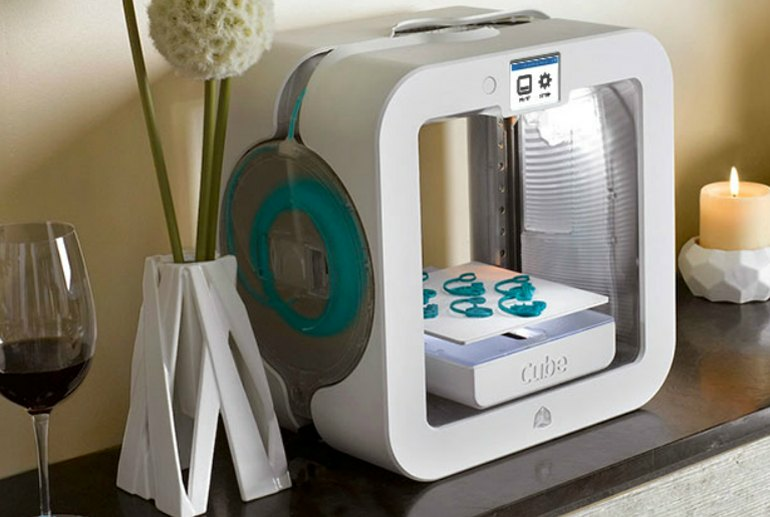 [T]he Cube 3 is ...aesthetically pleasing to the point I’d quite happily leave it sitting on a shelf in my lounge. Prints take a long time, but have a high success rate — a balance that makes sense for entry-level users. 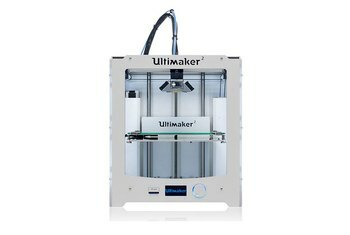 A feature that separates the Cube 3 from many other desktop 3D printers is the placement of the extruder. 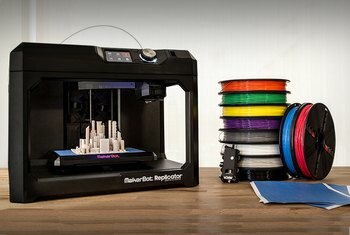 The extruder is actually apart of the filament cartridge and not the printer itself. With every new filament cartridge users get a new extruder.